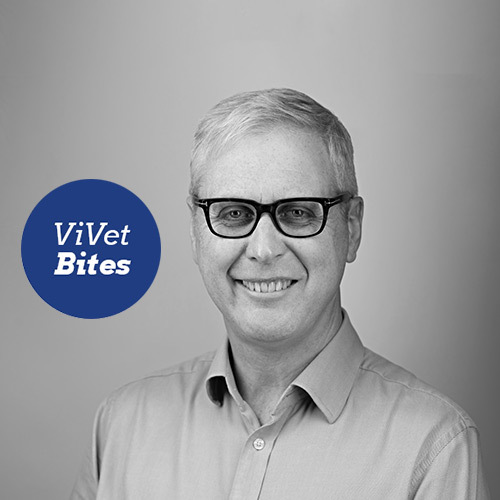 An interview with Anthony Chadwick from The Webinar Vet. I am a veterinary surgeon based in Liverpool. I qualified from the University of Liverpool in 1990 and passed my RCVS CertVD in 1995. I’ve spent most of my career in small animal practice in first opinion and also seeing referrals in dermatology and endocrinology. In 2010 I set up The Webinar Vet to make it easier for me and other vets to do their veterinary CPD. In those days nobody knew what a webinar was in the veterinary profession. Now it is one of the most common ways that vets and vet nurses learn. What innovation has got you to where you are today? I think it’s so important for the profession to look outwards. We don’t have all the answers and it is important to see what other professions and markets are doing. I went to an internet conference in January 2010 and met Steven Essa who is an expert on webinars. He helped me to get my first few webinars going and built a basic website for me. Had I not gone to this congress I probably wouldn’t have set up The Webinar Vet. The Webinar Vet was also bootstrapped and grew quickly. This was also possible because of great web tools like GoToWebinar, Amazon Web Services and Aweber which I didn’t need to develop and were cheap to buy. A similar business set up ten years prior might have cost several hundred thousand pounds. With any new project, it’s always worth developing it using off the shelf solutions and tools. What exciting developments do you expect to see in the field next year? I’ve been fascinated by the new developments in virtual reality and particularly mixed reality (the merging of real and virtual worlds). We’ve done some preliminary work developing anatomical models to help students learn the anatomy of common domestic animals using these amazing 3D tools. This whole field is expected to be massive in the next few years and feedback from vets, nurses and students has been amazing. I’m hoping that we can help to bring this technology to fruition in the veterinary field. What innovation has the greatest opportunity to change health and welfare of animals? In the next ten years there will be a revolution in human medicine and veterinary medicine, particularly in the field of targeted medicines, but also personalised medicine. Genomes of individuals will be investigated and disease risks discussed before they become a problem. Genome mapping can now be done for around £1,000. The first human genome cost $2.7 billion to map! In my own field of veterinary dermatology I was thrilled to see Zoetis bring out Lokivetmab as an injectable monoclonal antibody to IL31. This very elegant product is much more targeted than our old blunderbuss alternatives like corticosteroids. We will see more examples of this in the next decade. What piece of advice would you give to someone setting up a practice or starting their career in animal health and welfare? There are so many opportunities today when setting up a practice. Many practices fail to become outstanding at social media and digital tech. With a good plan it is really possible to dominate your area. Of course, you need a good team to treat the animals that come in to see you but I don’t think many practices have truly embraced what Nick Stace, ex-CEO of RCVS, said a couple of years ago about every business being a digital business. The ones who get this right will grow very quickly. Of course, employ the best people you can and be gentle on yourself and others. A veterinary practice should be a fun place to work, but can be stressful too! What’s next up for The Webinar Vet? We have been growing quickly since we took some investment from The North West Business Fund in August 2015. I’m very proud of the team I have put together and they are a great asset to The Webinar Vet. We are a purpose-led business which wants to make veterinary education accessible and affordable to vets and nurses across the globe. 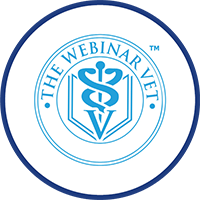 We recently held our seventh International Webinar Vet Virtual Congress, for which we gave away over 1,000 tickets to vets in developing countries. It is thrilling that we can part of the global challenge to improve veterinary knowledge and hence, animal welfare.